Choose the products that you like and add them to "Your Cart". Choose a method of payment and click on "Send Order". By activating the "Send Order" button on the order form, the Customer fully and without reservation accepts all the Sale Terms as per the Website at the moment of contracting. If the payment is authorised, the Customer will receive confirmation of receipt of the order. 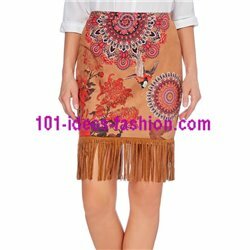 With the exception of the circumstances described in Sections 2.1 and 2.2 below, this confirmation constitutes acceptance by shop 101 idees fashion of the Customer's order and creates a binding agreement between Customer and shop 101 idees fashion. 101 idees fashion may change the Sale Terms at any time, without prior notice to the Customer. 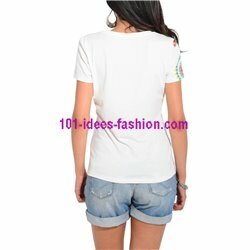 However, shop 101 idees fashion will announce such changes on the Website. Also, once the Customer has received confirmation of receipt from shop 101 idees fashion of his/her order, the Sale Terms applicable to that order will not be changed. 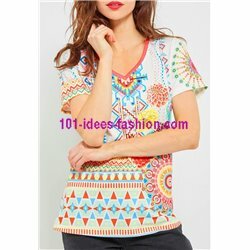 The completion of an order through the Website is subject to the availability of the garments 101 idees fashion attempts to guarantee stock of all garments on sale. If the product ordered is not available or there is no stock of it, the Customer will be informed by e-mail and refunded the amount paid within 15 days of the payment. 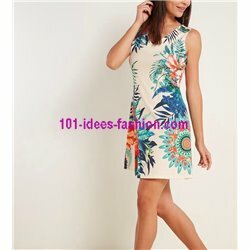 shop 101 idees fashion has been unable, after 3 attempts, to deliver the order at the address provided. 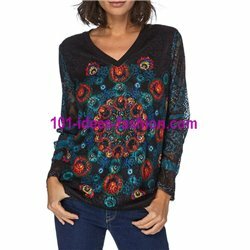 If an order is cancelled for any of the above reasons, shop 101 idees fashion will refund (if applicable) the value of the order. Delivery expenses are never refunded, except in certain circumstances. 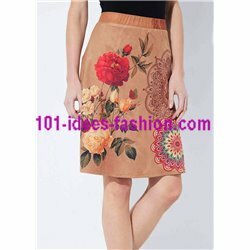 Prior to processing an order placed by the Customer, shop 101 idees fashion may verify the Customer' data. This may involve verification of the address and solvency of the Customer, and whether fraud is involved. With respect to possible fraud, shop 101 idees fashion may use partially automatic verification of all purchases in order to filter out those considered abnormal or suspicious and those suspected of fraud. Orders suspected of fraud will be investigated, and the Customer may be reported to the appropriate authorities, which may prosecute. The prices and offers presented on the Website include Value-Added Tax ("VAT") and are valid only for orders placed on-line through the Website. 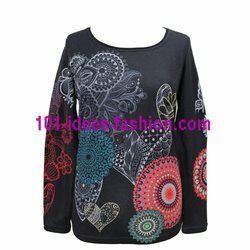 These prices and offers may not coincide with those available in other shop 101 idees fashion shops throughout the world. 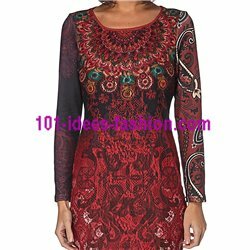 shop 101 idees fashion clothes informs that changing the delivery country may have an impact on the price due to the exchange rate or the prices specific for that country. To pay for the order the Customer may use the following Hipay and PayPal. The charge will be made upon confirmation of the order. The prices shown on the Website are subject to change. 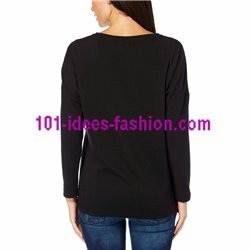 101 idees fashion reserves the right to change prices without prior notice. 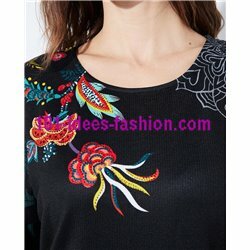 However, once the confirmation of receipt of an order is received from 101 idees fashion, the price payable in respect of that order will not be changed. 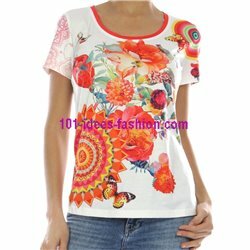 101 idees fashion informs that despite careful updates of the Website the prices shown may be erroneous. 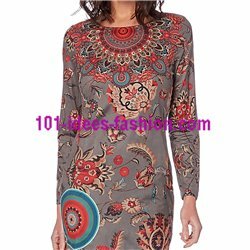 Any prices shown in error will be amended as soon as possible and shall not be binding on 101 idees fashion. Customers outside VAT territories: according to 101 idees fashion VAT policy, customers in these areas purchasing from the Website will be charged VAT when placing an order. Orders are usually delivered within 1 to 12 business days. 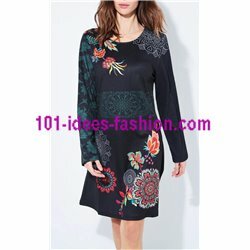 The delivery schedule is usually met, and although 101 idees fashion cannot guarantee punctuality, all orders are delivered within 30 days from the date of confirmation of receipt of the order, at the latest. Once an order is shipped, the Customer receives an e-mail notification about the expected delivery date. The Customer must verify the state of the packaging upon delivery. If the package is damaged, the Customer must not accept the delivery. The amount of the purchase and the delivery expenses will be refunded to the Customer once the warehouse has processed the return of the products. 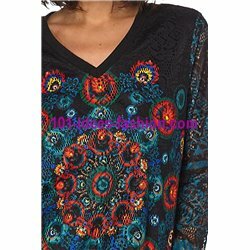 101 idees fashion informs that the delivery must be verified within a reasonable time after receipt. 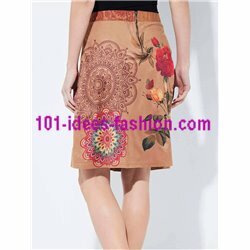 In case no notice of rejection of the products is received within 15 days of delivery, 101 idees fashion will consider the Customer to have accepted the delivery. This does not affect the Customer' right to return or exchange any order as set out in Section 6 below. Orders not collected or rejected by customers, without reason or warning, are not our responsibility. The carrier charges a cost of 30 euros that will be borne by the customer. If you do not want the order, it must be collected and returned, never abandoned. 1. These Sale Terms set out the full extent of 101 idees fashion obligations and liabilities in respect of the supply of the products. There are no warranties, conditions or other terms that are binding on 101 idees fashion except as expressly stated in the Sale Terms. 2. Subject to clause 4, the maximum aggregate liability of either party to the other on all claims of any kind under or related to these Sale Terms, whether in contract, warranty, condition, tort, strict liability, statute, or otherwise, SHALL BE LIMITED TO THE AMOUNT PAID TO 101 idees fashion FOR THE PRODUCT IN QUESTION. 3. Subject to clause 4, IN NO EVENT, WHETHER AS A RESULT OF BREACH OF CONTRACT, WARRANTY, CONDITION, TORT, STRICT LIABILITY, STATUTE OR OTHERWISE SHALL EITHER PARTY BE LIABLE TO THE OTHER FOR ANY SPECIAL, CONSEQUENTIAL, INCIDENTAL, OR INDIRECT DAMAGES. 4. Nothing in these Sale Terms shall limit or exclude 101 idees fashion' liability for (i) death or personal injury caused by 101 idees fashion' negligence, (ii) fraud, (iii) any breach of the obligations implied by applicable compulsory national laws or (iv) any liability which cannot be excluded by law. The Customers are informed that their personal data will be included in files under the ownership of 101 idees fashion for commercial purposes, customer relation management advertising and commercial prospecting, including the sending (through post, e-mail, or other electronic means) of commercial messages concerning products, services, offers, promotions, and news concerning the 101 idees fashion group. For objectives directly related to the processing of personal data, the Customer' personal data may be transmitted to other companies in the 101 idees fashion group, which may be located outside the European Economic Area (EEA), including countries that do not have a comparable level of data protection. 101 idees fashion, and any third party to whom 101 idees fashion transmits personal data, will put in place and maintain technical and organisational security measures which are appropriate and sufficient to prevent any processing of personal data in breach of: (a) these Sale Terms or applicable data protection laws; and (b) any accidental loss, destruction, or damage of personal data. 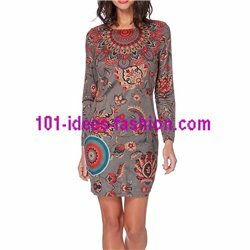 Purchases made through the shop 101 idees fashion Website and under these Sale Terms are subject to Portugal law.